I love working with different brands from creative direction on upcoming campaigns, to enhancing their client experience. Calligraphy service for corporate brands can include on-site calligraphy, press sessions, hosting workshops, product personalization etc. Ellermann co-hosts a series of floral workshops with world-renowned floral duo from Putnam & Putnam New York. 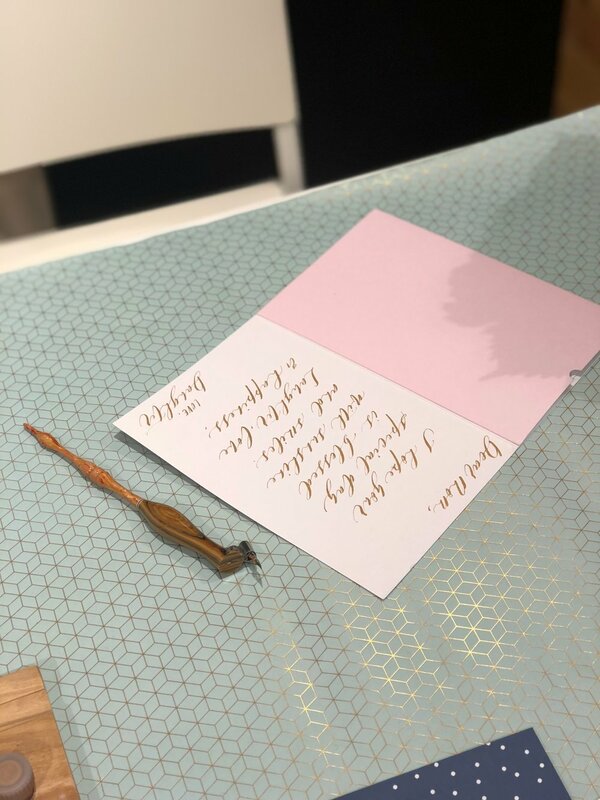 Attendees each receive a hand-dyed bookmark with gold calligraphy, as well as personalized welcome cards are part of their workshop package. A touch of elegant and sophisticated personalization is always the key to successful and memorable experiences. 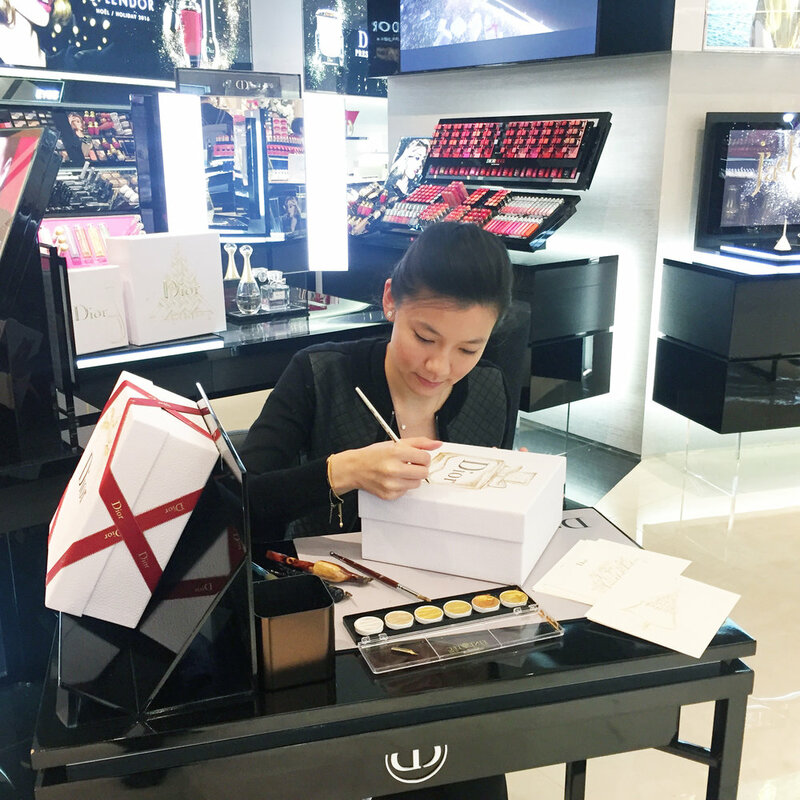 On-site calligraphy service for the Cha Ling Cosmetics, personalizing their beauty products for Mother's Day. 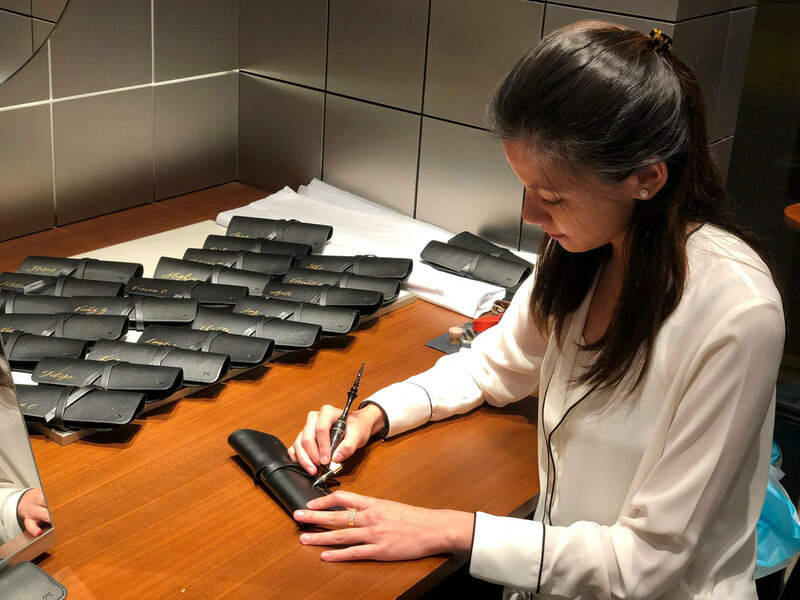 On-site calligraphy service for Khromis' Grand Opening, personalizing leather eyeglass cases for press and invited guests. On-site calligraphy service for customers for Ril Creed's boutique store grand opening. 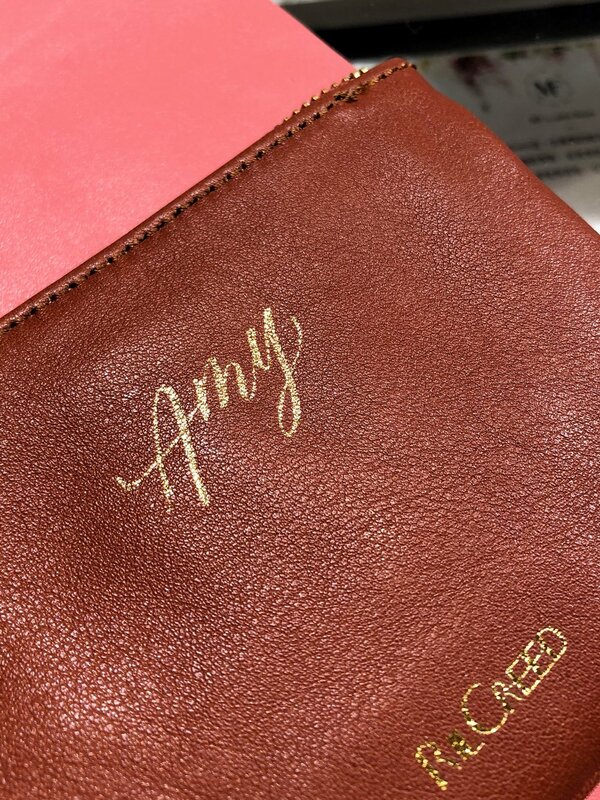 Personalizing their range of leather goods with gold foiling, from coin pouches to handbags. On-site calligraphy and painting for all attendees of the Asia Pacific Property Conference organized by Citibank over 3 days. 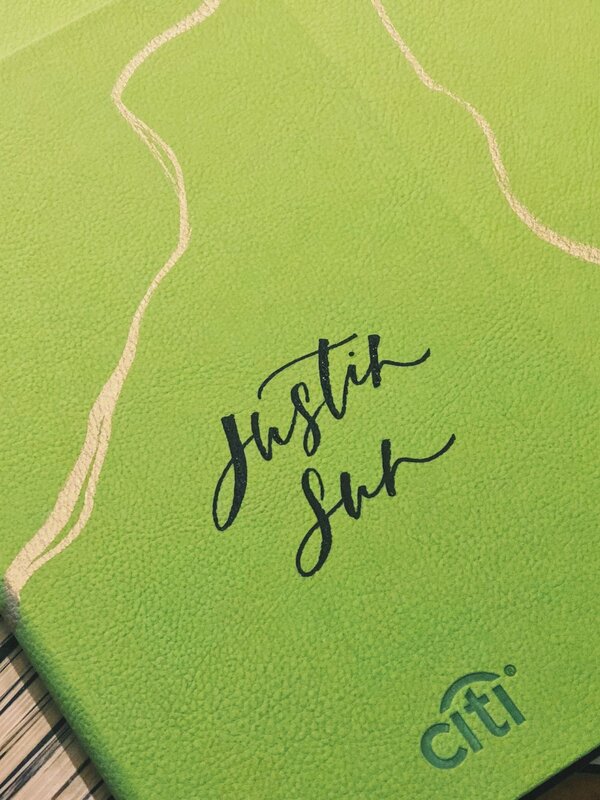 Set in the Four Seasons, attendees have the choice to personalize their branded notebooks with their name in calligraphy, decorated with gold painting at the cover, as well as live floral watercolor on the inner cover. Many of the participants not only wanted this for themselves, but also as gifts to their respective clients and families. 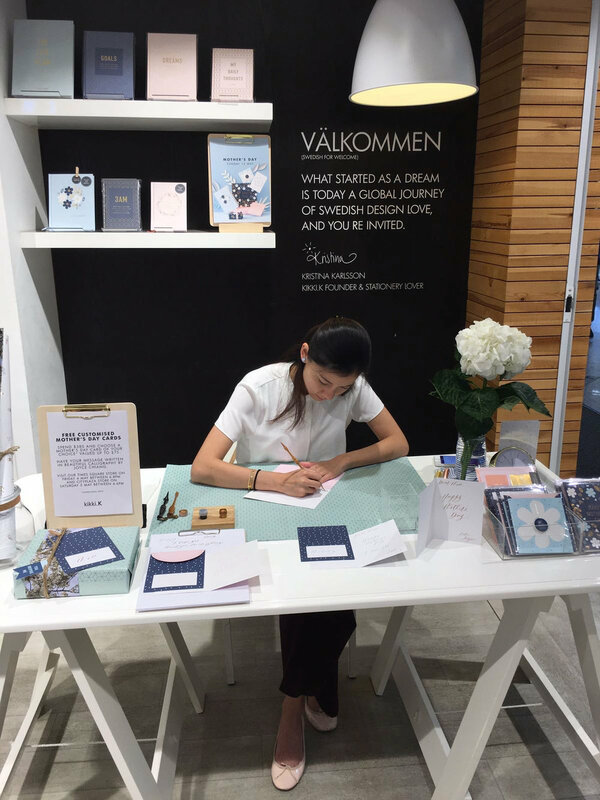 On-site calligraphy service for the Swedish design stationery powerhouse, personalizing their products for Mother's Day events. Personalizing glass baubles for client gift boxes with decorated calligraphy. finished with a personal gift tag for each recipient. Personalized gold-plated quartz coasters for beauty brand, Cle de Peau. Custom calligraphy quotes for their VIPs on each coaster to match client's first names. On-site calligraphy service for customers at Giorgio Armani beauty boutiques at Chater House location. 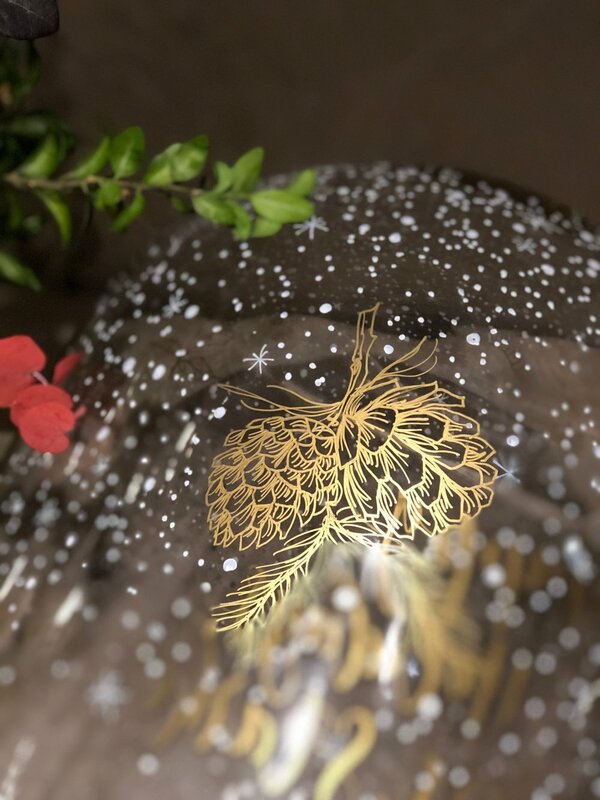 Personalizing branded Christmas baubles with calligraphy and floral illustrations. On-site painting and calligraphy service for customers at Lancome beauty boutiques at DFS Hysan. 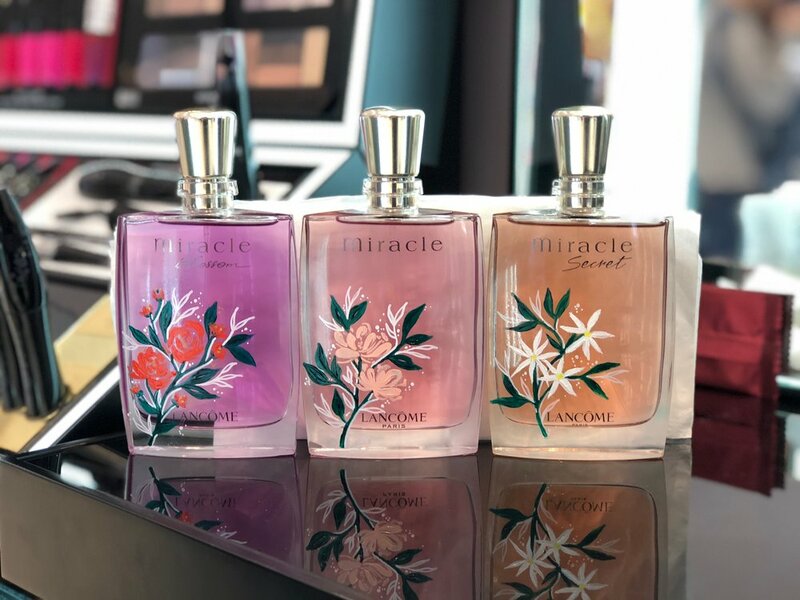 Live painting and calligraphy on Miracle line perfume bottles, florals are painted based on the fragrance. A wedding company based in France - client was looking for luxurious gift cards to gift to their VIPs. 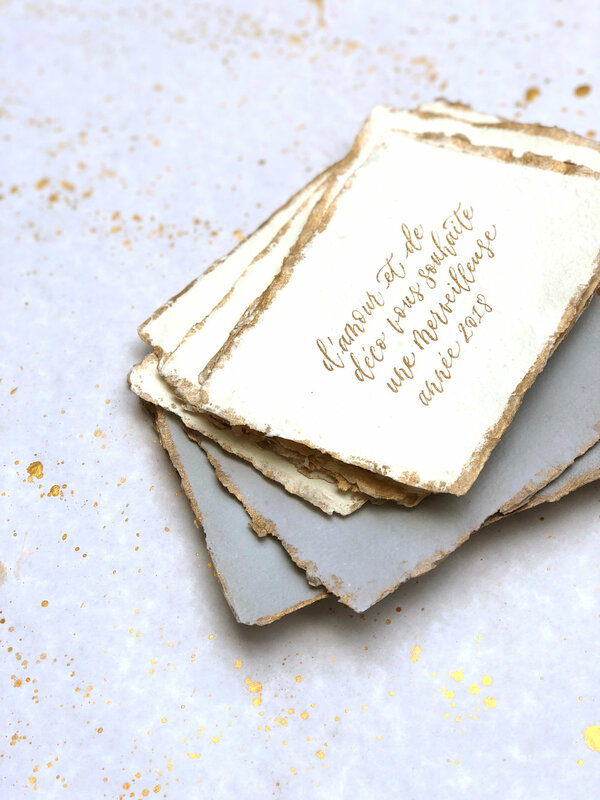 We decided on using handmade paper, with calligraphy, and finished with hand-painted gold deckled edges. 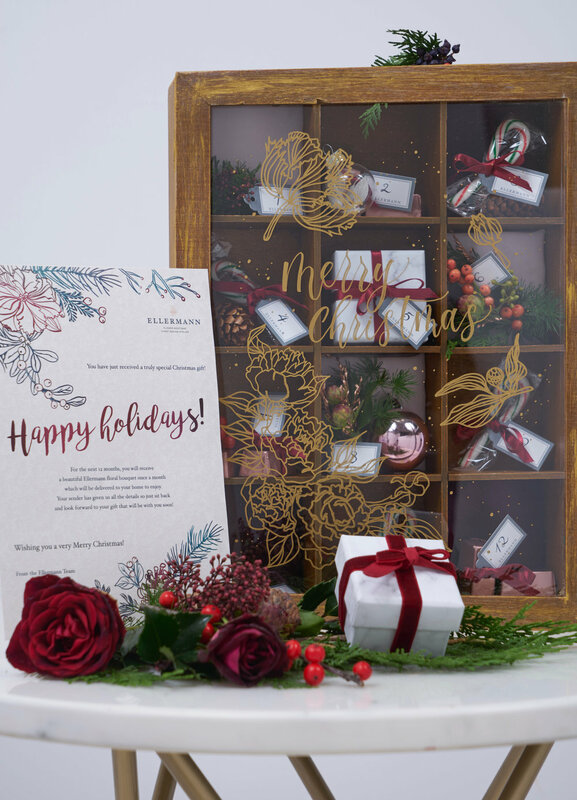 Christmas based illustrations and calligraphy on 3ft tall glass bell jars, and advent calendar sized gift boxes; both paired with beautiful floral arrangements by Ellermann. Hosting brush calligraphy workshops for kids and adults at the Montblanc supports UNICEF "Pass It On" campaign. Each participant learned to create unique watercolor backgrounds and learned to write modern calligraphy with brush pens. The Gift of Writing campaign is celebrating the partnership that aims to improve learning conditions for over 5 million children around the world by providing quality learning materials and better teaching to China, Brazil and Djibouti. 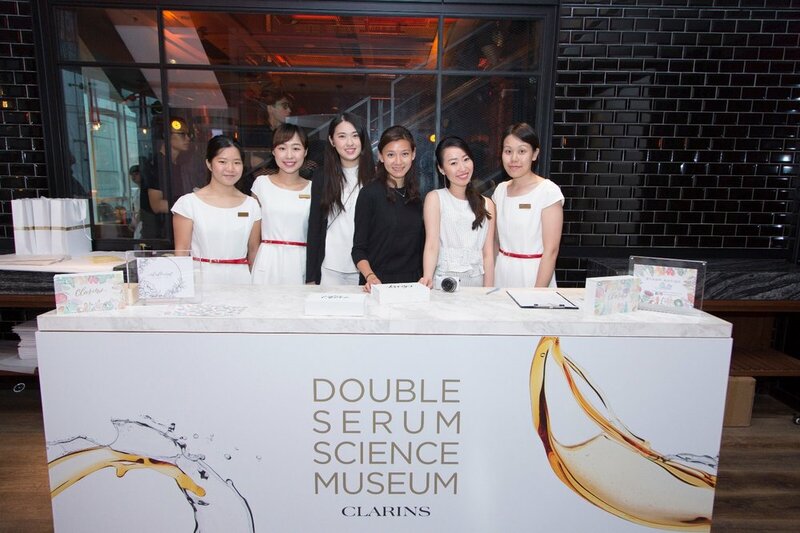 On-site calligraphy for VIP guests at beauty brand, Clarin's 8th generation double serum press session and launch event. On-site calligraphy personalising candles for fashion brand, Initial. On-site calligraphy personalizing "DO Pandora" fabric tote bags for VIP guests at their DO Pandora jewelry line press session and launch event. DO Pandora is a new multifaceted global campaign that will inspire women to be true to themselves and what they believe in. Pandora reflects shared ideals of social and environmental responsibility, like-minded women will find motivation in DO to validate their beliefs. 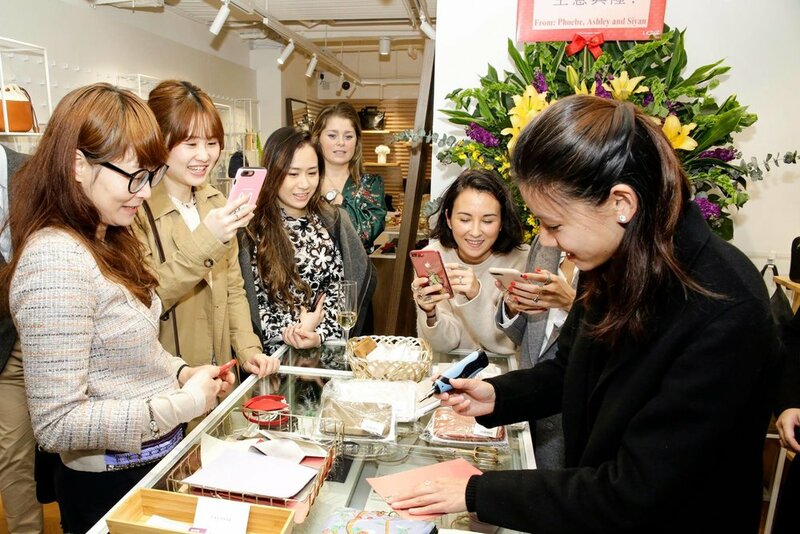 Hosting floral illustration workshops for Monteverde, a U.S. luxury pen brand at one of their Hong Kong retailers, Log-On. All instructional materials were prepared by me, conducting the workshops using their new line of Gemstone inks, with Monteverde fountain pens. On-site calligraphy personalizing candles for fashion brand, Initial, as part of their VIP sales event. 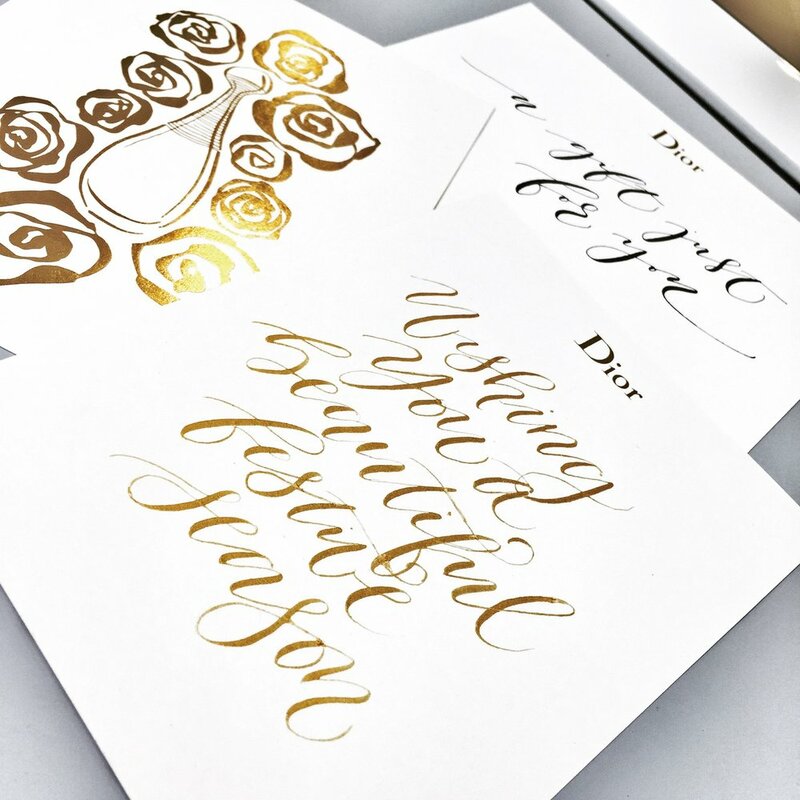 On-site calligraphy service for customers at different Dior beauty boutiques across HK Island and Kowloon. Personalizing christmas cards with calligraphy and flourishing, as well as watercolor painting on Dior packaging boxes for J'adore Perfumes. On-site calligraphy service on a variety of products for customers at Lane Crawford's lifestyle boutique store as a part or their Art & Desire campaign. On-site calligraphy service for customers at different Dior beauty boutiques across HK Island and Kowloon. 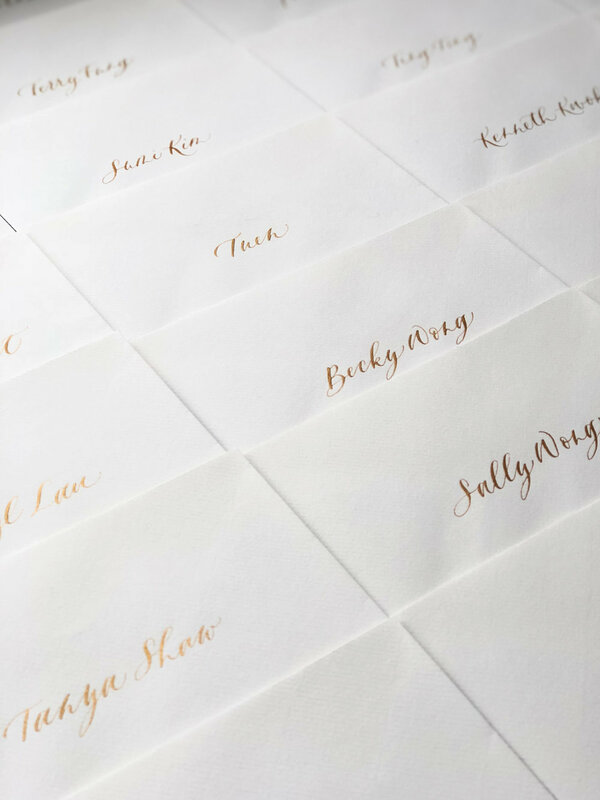 Personalizing christmas cards with calligraphy and flourishing on custom gold-foil printed J'adore cards. On-site calligraphy service branding gift mug sets for VIP guests for fashion brand, EQ:IQ. On-site calligraphy service personalizing christmas gift tags for Jo Malone perfume and fragrance sets.